WEST PALM BEACH, FL -- The Florida college student accused of killing a couple and chewing on the dead man's face told deputies, "Help me, I ate something bad" and then admitted it was "humans" as he spit out a piece of flesh, court documents show. 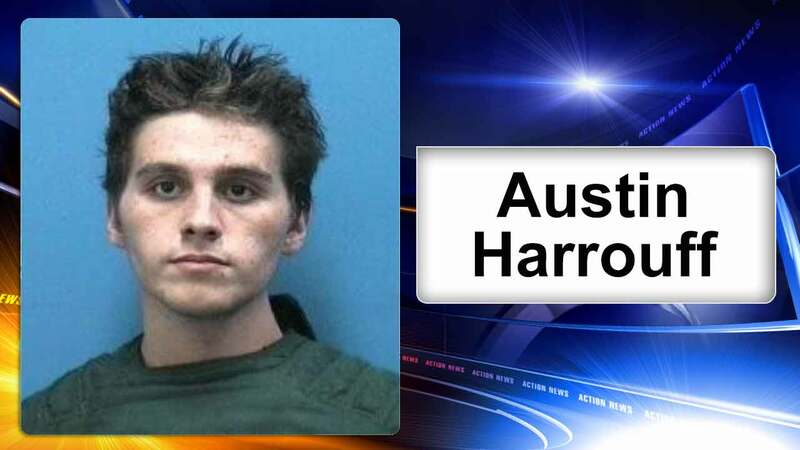 Austin Harrouff, 19, also begged deputies to kill him after they pulled him off John Stevens' body, according to the records, obtained Monday by the Palm Beach Post. Harrouff is charged with second-degree murder in the Aug. 15 attack on Stevens, 59, and his 53-year-old wife, Michelle Mishcon, outside their Tequesta home. Prosecutors say they will ask a grand jury to indict him on first-degree murder charges. That would make him eligible for the death penalty. Deputies say they found the then-muscular former high school football player and wrestler in his underwear, making animal noises and biting Stevens' face as he pinned his victim's body to the driveway. The FBI is running tests to determine whether Harrouff was on drugs. Harrouff was hospitalized for almost two months after the attack. His father says his esophagus was burned. Martin County Sheriff William Snyder has said Harrouf may have ingested lawn chemicals found in the couple's garage. According to the court documents, one deputy ordered Harrouff off Stevens at gunpoint while another used an electric stun gun on him but he wouldn't let go. Snyder has said the deputies didn't shoot Harrouff because they feared hitting Stevens. Harrouff's parents issued a statement days after the slayings expressing their condolences to the Stevens family and their apologies to neighbor Jeff Fisher, who was stabbed as he tried to rescue the couple.